"If you wish, you can be a slave of passions, and if you wish, you can remain free and not submit to their yoke; for God has created you with that power." 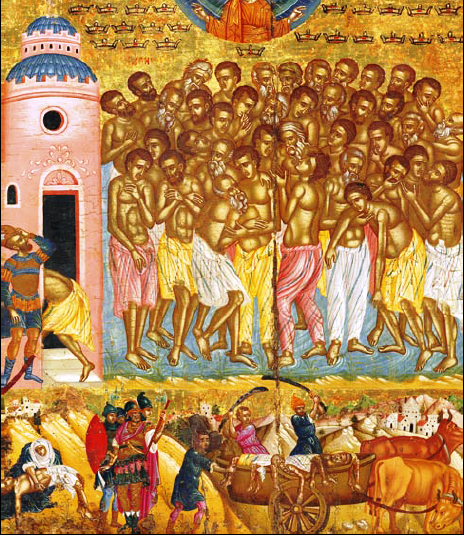 FOCUS: 3:00 p.m. - 8:00 p.m.
Lenten Liturgy: 4:00 p.m. - 6:30 p.m.
As we began the Holy and Great Fast, it is important that each of us receives spiritual guidance with regards to how to fast - please ensure you receive guidance from your spiritual father. 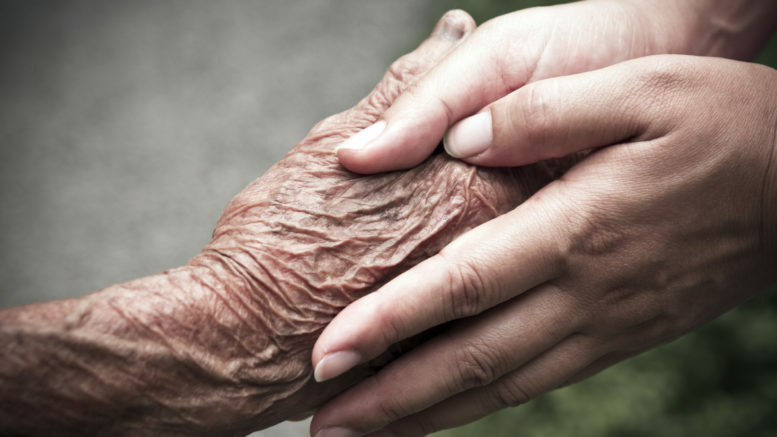 Lent is a time of asceticism and self-control; a time for modesty in all that we do. We prepare for the most holy time of the year, where we remember our Lord's agony, death, and far more importantly: resurrection. 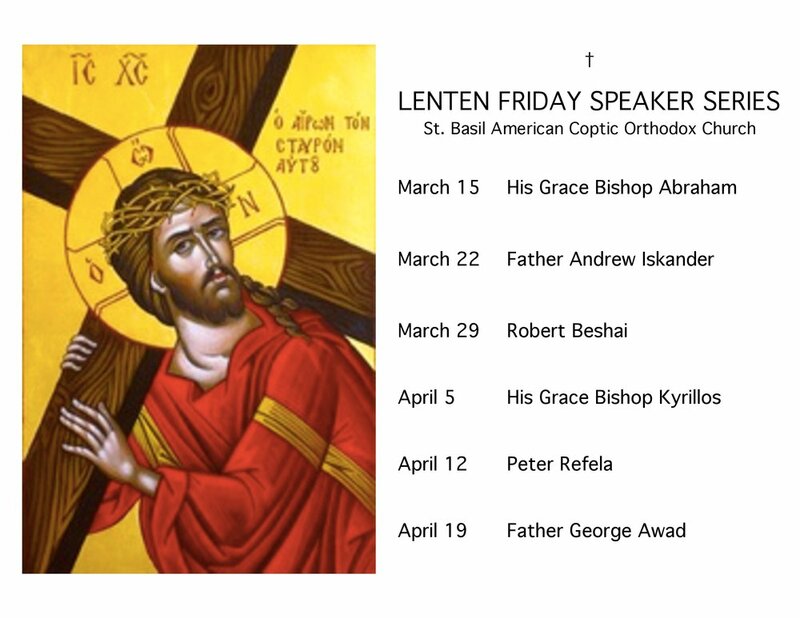 After the great success of our Nativity Speaker Series last year, we are excited to announce a new speaker series during Lenten. Please join us each Friday from March 15th through April 19th. His Grace Bishop Abraham will honor us with his presence on March 15th, starting at 7:00 p.m.
As we’ve experienced challenges with the physical sign-up sheets for our weekly agape meal, we are trying a new way of signing up. Starting March 31st, we will be using an electronic tool called VolunteerSignup. It requires NO account creation, NO app downloads, and is mobile user friendly. You don’t even have to think about what to bring, since suggestions are being made for each Sunday. All you have to do is click the link for the week you want to sign up for and enter your name and contact info next to the item you'd like to bring. If you want to bring something else, please contact Erene Hanna via the "contact manager" button and let her know. Thank you for your continued support and help! 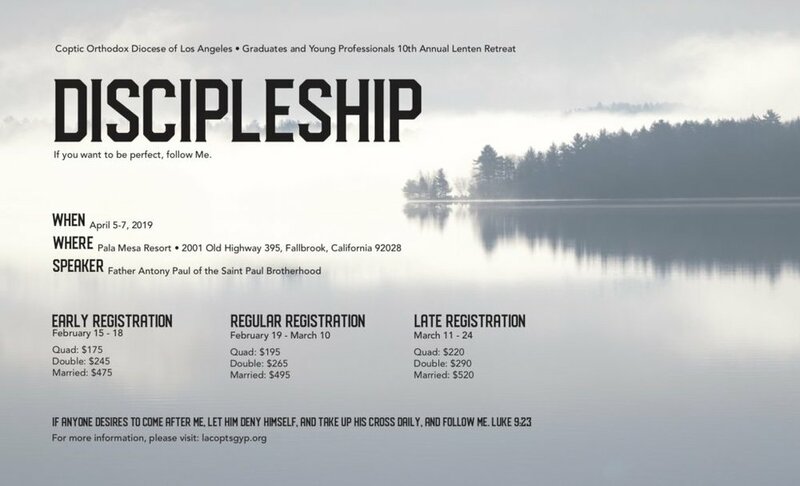 Don’t miss out on the opportunity for spiritual contemplation, growth, and fellowship. Mark your calendars for our 3rd annual St. 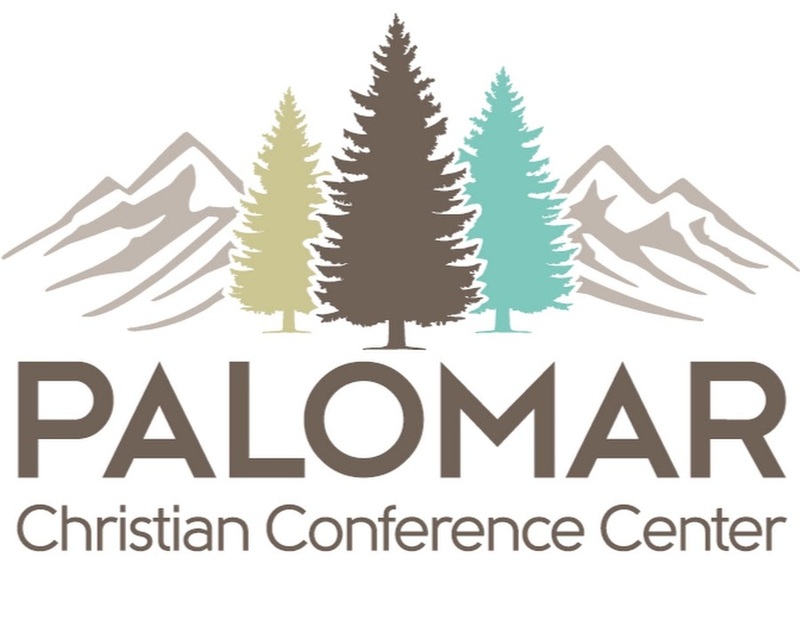 Basil Retreat from May 10-12, 2019 at the Palomar Christian Conference Center (approx 1hr 20min away) tucked just south of Julian. We have an incredible committee preparing the best retreat we’ve had yet and our speakers will be Father George, Father Michael and, pending a flight, Father Antony. Please look out for a text message with a sign-up link, that will be sent out later this week.